Taking care of your teeth between dental visits is the key to a good check-up. It’s also the best way to prevent caries and maintain a healthy mouth. Dudley the Dinosaur is here to explain the importance of dental care to young patients. In Dudley Visits the Dentist, our friendly cartoon dinosaur teaches children everything they need to know about dental visits, as well as how they can keep their teeth clean. Easily communicate to young patients why and how they should care for their teeth with Dudley Visits the Dentist. This animated video follows Dudley as he goes to a dental appointment, showing kids practical methods of personal dental care. It will also inform them about the best time to get a new toothbrush, so they’ll always have a properly functioning tool against caries. Each Dudley video you purchase is instantly accessible through your online ADA e-bookshelf. To learn more about the entire Toothflix video series, visit ADA.org/toothflix. 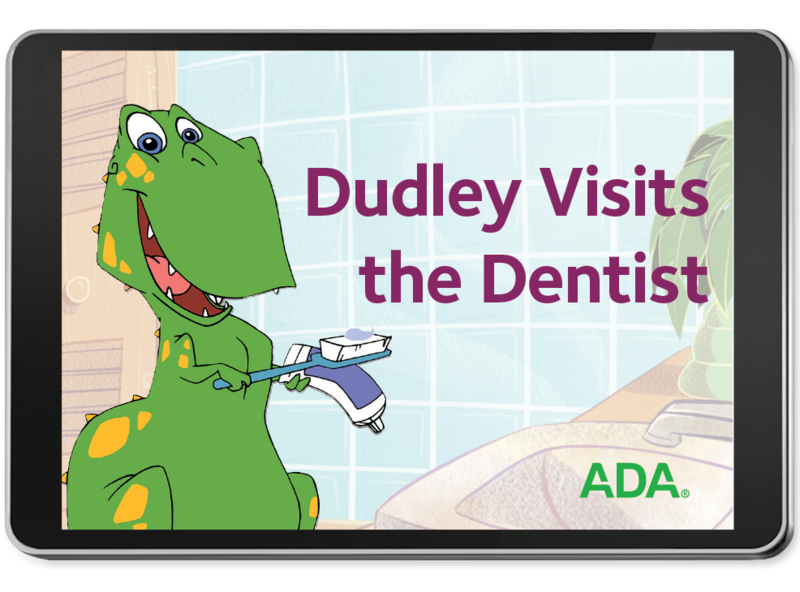 Help introduce young patients to proper oral hygiene techniques by ordering your Dudley Visits the Dentist – ADA streaming video today!